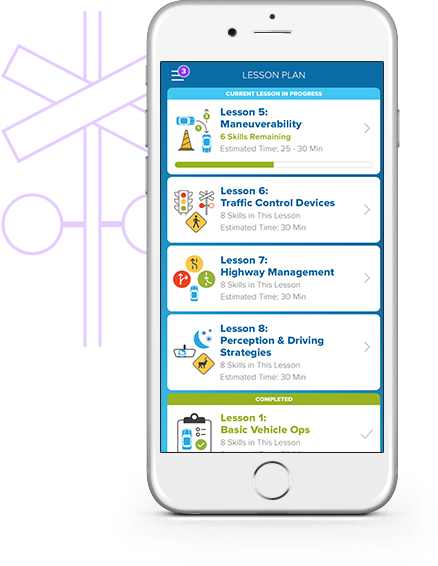 The DRVN app tracks time, helps structure driving lessons, and strengthens your teen's understanding through skill checks. Guide your teen through new, diverse skills. Check your skill progress after drive sessions. 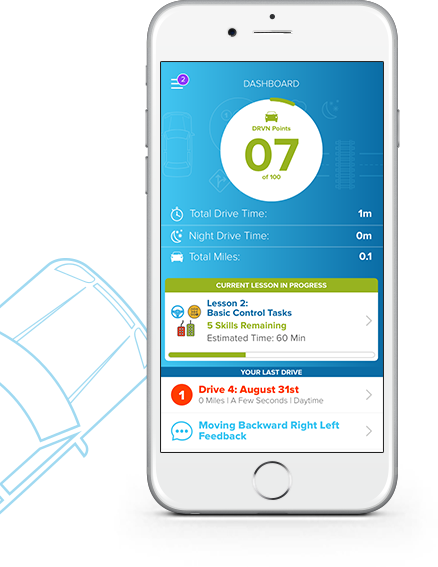 Rate your teen’s driving performance after a session. Receive feedback based on your drive performance. Track your progress toward covering 50 hours. Accumulate badges and points as you complete skills and hours. We know you’re a pro. But teaching is a whole different skill than driving, and it requires planning. You can skip the teaching degree but still be an effective teacher with DRVN's lesson plans. 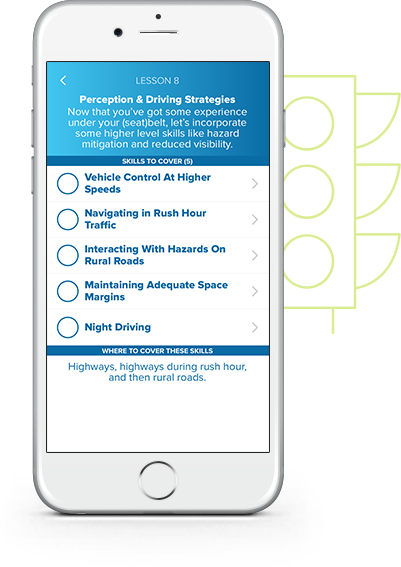 The app helps you structure driving sessions and gives concise skill instruction so that you can guide your teen driver through new skills. Just driving to and from basketball practice isn’t going to cut it. Operating safely on the road means knowing what to expect in all situations. We’ll make sure your teen is getting exposure to a range of environments to best prepare them for the challenges of the road. We’ll start with the easy stuff and progress to the harder stuff once you confirm that your teen has mastered the basics. We’ve been tracking time, but we should be tracking progress. Your teen won’t always get things right on the first try, so it’s important to continue to practice the skills that need more work. DRVN can help by prompting you to revisit skills that need more attention. We’ll provide relevant tips and timely feedback based on your teen’s performance so that they operate safely, competently and confidently on the road.